1)Typical read range achieved in air. Different types of metal will cause some degradation (typically up to 20%). Use spacers to space product off metal and improve read range if required. 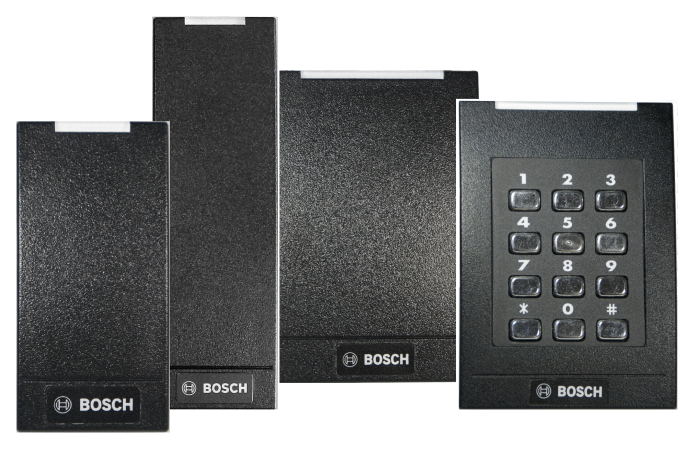 Switches the code from Bosch coded reading for MIFARE classic and MIFARE DESFire EV1 to CSN reading. Set off eight cards for the configuration of the reader address 1 to 8.